I love working with disrupted frames, with the centerpiece of the design in many cases almost breaking through. I like to think of them as lockets that keep little moments in time, with their moments coming to life and streaming out of them. 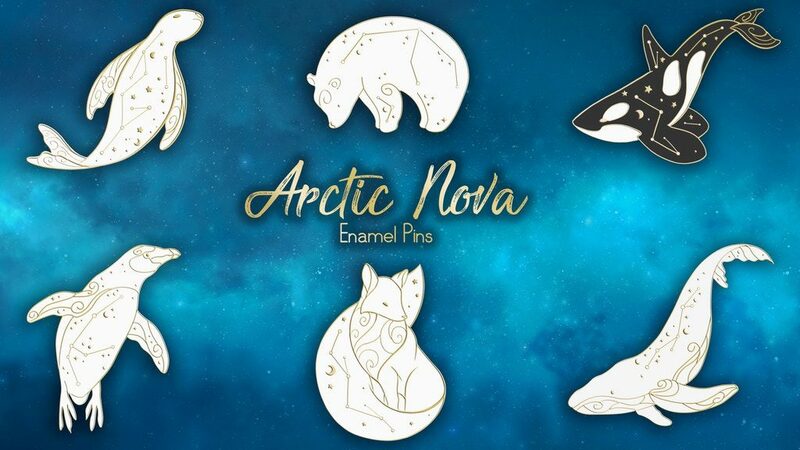 My Winter: Tranquil Forest Animals pin collection was funded on Kickstarter in November 2018. Rainbow Club is the name of my monthly Pin Club which I run through Patreon. These pins are only available through the Member’s Exclusive Shop, which requires you to be a Patron 🙂 Every 6 months a new theme is chosen, such as Tropical Garden, Most Endangered or Coral Reef. The collection currently running is Sleeping Beauties. “Sleeping Beauties” enamel pins: Hydrangea. “Sleeping Beauties” enamel pins: Tea Rose. The pins in Rainbow Club are designed in six-piece collections, and the one currently running is called Sleeping Beauties. The collection is available in two color palettes: Hydrangea and Tea Rose. All pins in this collection are gold plated and hard enamel. The pins come with two rubber backs and an EvyB back stamp. Galactic Reef is a collection of enamel sea creatures inspired by nebulae and outer space! I love the galactic feel of anodized metal, also known as rainbow metal, and I wanted to combine it with the magical mystery of life under the sea. In addition, I decided to have all the designs made with gold plating as well. 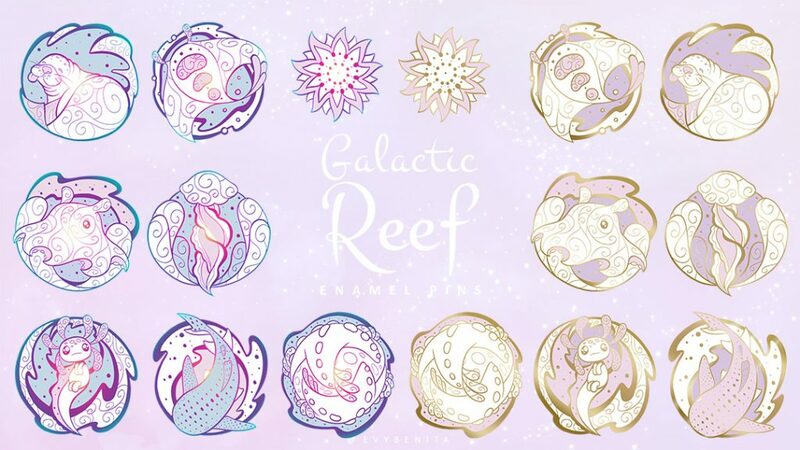 My Galactic Reef enamel pin collection was funded through Kickstarter in March 2019(thanks to 144 amazing backers! ), and will be available through my shop in late May or early June 2019. Galactic Reef Enamel Pins: All Designs Available in Rainbow Metal and Soft Enamel, and in Gold Plating and Hard Enamel. My three ones are the Arctic Fox, the Orca Whale and the Leopard Seal. Georgina designed the Humpback Whale, the Emperor Penguin and the Polar Bear.